I’ve had the great good fortune to spend most of my career as a “beat reporter” covering two astounding beats. The articles you see here on LastWatchdog are the work of my second great beat, which I’ve been immersed in since approximately 2004: cybersecurity. Or to put a finer point on it, I live and breathe developments having to do with the for-profit leveraging of the Internet, by both good guys and bad guys. A journalist couldn’t ask for a richer topic. Cybersecurity affects how we live, work and play. Cybersecurity, at this moment, underpins the profound shifts in culture, economics, politics and national security we are all experiencing. I’ve won my fair share of recognition for my work as a journalist. This can be attributed mainly to practicing the craft professionally since 1977, and being blessed to work alongside iconic mentors and inspiring colleagues. 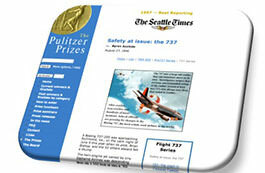 I reached the pinnacle of my profession covering my first great beat, aviation safety, for the Seattle Times. I was awarded the 1997 Pulitzer Prize for Beat Reporting for my coverage of a deadly design flaw incorporated into the rudder actuator of Boeing 737 jetliners. That said, two recent acknowledgements of the work I’m doing here at The LastWatchdog on Privacy & Security are top of mind at this moment. I’d like to thank the University of San Diego for naming LW as one of the top cybersecurity blogs of 2017. And my gratitude also goes out to vpnmentor.com for placing LW on its list of Top 20 online security blogs of 2017. I did not become a journalist to win awards. I began my career in 1977 as a general assignment reporter covering small town politics and first-responder breaking news for the The Herald, in Everett, Wash. A typical week might include sitting through a Brier City Council meeting and filing a story about why the police chief and mayor were bickering; sifting the police report logs at the Lynnwood, Edmonds and Mountlake Terrace city halls for newsworthy local crimes; or racing to the scene of a fire, bank robbery, drowning or plane crash with hell-bent news photographers like Michael O’Leary, Jim Leo and Rich Frishman. “Beat reporting” came later. 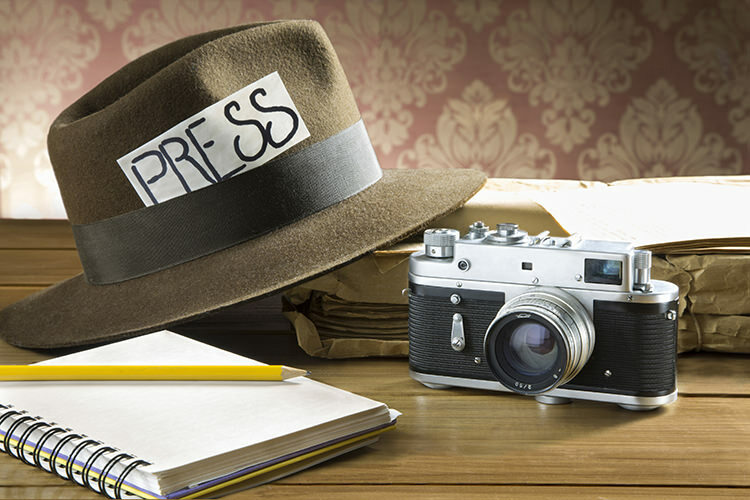 Riding the rising wave of interest in business news, I became a generalist business news reporter in the early 1980s. And that led me to specializing in covering the Boeing Company at the Seattle Times, which I did from 1987 – 2000. The business of developing and selling jetliners became my beat. I wrote about airplane orders, the development of the 777, Boeing’s rivalries against Airbus and McDonnell Douglas and Boeing’s squabbles with labor unions representing its machinists and engineers. But as I began immersing myself in the business of aviation, something unexpected happened. Every so often a Boeing jetliner crashed, and in a number of these air disasters a system weakness or a design flaw turned out to be the root cause. Thus was born the first great beat of my career: aviation safety. I wrote extensively about why critical complex systems sometimes fail. The stakes were very high. These complex systems needed to operate at a certain threshold, or safety margin, in order to reliably transport humans in a 50-ton aluminum tube, seven miles above the earth’s surface, hurtling forward at 500-plus mph. I investigated catastrophic failures in 747 cargo door locks; 767 thrust reversers; 747 engine mount fuse pins; 757 ground proximity warning sensors; 747 fuel tank wiring systems; and MD 80 horizontal stabilizer jackscrews. 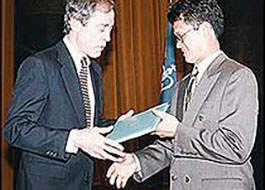 Being handed a Pulitzer Prize for my beat reporting work on the 737 rudder actuator in 1997 was fantastic. Yet, my most satisfying moment as a journalist came when I was able to go to press with a page-one Seattle Times story on February 22, 2000 documenting how Boeing knew about the rudder problem years before fatal crashes in Colorado Springs and Pittsburgh; that story, I believe, helped push the company to completely redesign the 737 rudder. Winning a Pulitzer opened a few doors, and in December 2000 I accepted an offer to become USA Today’s Seattle-based Microsoft beat reporter. I began writing about Microsoft’s efforts to defend its cash cows, Windows and Office, while also struggling to become relevant in mobile devices, search advertising and online services. But as I began immersing myself in the world of commercial software, something unexpected happened. Youthful hackers, seeking bragging rights, began to wreak havoc on Windows. Thus was born the second great beat of my career: cybersecurity. At USA Today, I wrote about globe spanning worms; the rise of botnets; the emergence of the Dark Net; and how the tech giants and the financial sector were making it all too easy for wanna be hackers and fraudsters. In 2014, I moved on to become Editor-In-Chief for ThirdCertainty.com. Under the corporate sponsorship of CyberScout, a supplier of identity theft and data theft recovery services, I was afforded the opportunity to take more of B2B slant, reporting and writing from the perspective of helping company decision makers better understand emerging cyber exposures. CyberScout made a decision to discontinue ThirdCertainty, as of Oct. 2. I will always be grateful for the opportunity CyberScout founder and chairman Adam K. Levin gave me to drill down on this important topic for the past three years. But I’m not done yet. I plan to continue what I started on TC here on LW, helping individuals and companies become more informed about our shifting privacy and security norms, and ultimately become influencers for the greater good in their communities. Please keep reading – and sharing! We all have a role to play, if the Internet is to become as safe and secure as it ought to be. Pulitzer Prize-winning business journalist Byron V. Acohido is dedicated to fostering public awareness about how to make the Internet as private and secure as it ought to be.